Hi friends! I wanted to go over my sephora picks and have this blog post up before the VIB sale started, but of course real life got the best of me. Thankfully sale isn’t over yet though, and anyone can still get 15% off from November 16th-19th with the code: BIBONUS. So today I thought I’d share my first official holiday gift guide - sephora edition! If you’ve followed me for a while, you’ll know what a big fan of gift sets I am. 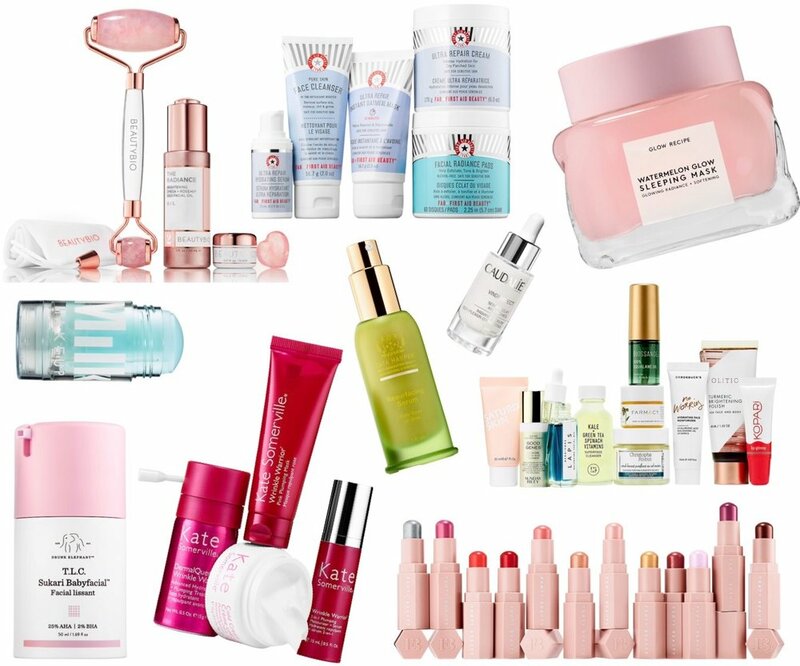 They’re already heavily discounted so in combination with the 15-20% off coupon from the VIB sale, you’re looking at prices up to 50% off retail! That’s absolutely amazing IMO, and the reason I encourage people to get their holiday shopping done early. Gift sets are also a great way to try out a bunch of new products if you’re still in the process of solidifying your skincare routine and want to build your stash. It’s also a perfect way to try out a brand you might be unsure of… and see if their formulas work for you. Best of all, gift sets make perfect gifts for the holidays! Some of them are cheap enough to be stocking stuffers, others are more expensive (but still highly discounted) which you might want to divide into individual gifts or keep a few for yourself! Gift sets are my first picks for ANY holiday gift guide, because they’re so versatile! It’s a lot easier to give a gift set to someone without knowing their skin type or preferences, because the chances are that at least one of the 3-5 products will work out. It also feels like you’re “getting” more as a recipient, and they’re a lot cheaper for the gift giver too! So I’ve chosen 31 of my favorite gift sets to share with you guys below. 18. Peter Thomas Roth - Get Drenched! Skincare-related stocking stuffers can be a bit of a difficult category because they tend to retail for far more than other categories (like beauty, food, or lifestyle goods for example). That said, I’ve found 10 amazing stocking stuffers UNDER $30 that can be broken up into individual gifts ($5-$10 each) or kept as a whole, for a big stocking stuffer, white elephant gift, etc. The choice is yours! Makeup and nail polish make PERFECT stocking stuffers, and there are so many affordable options to choose from! Here are some elegant crowd-pleasers that are sure to put a smile on someone’s face. Some of these options are gift sets and can be broken up to make individual gifts and stocking stuffers ($5-$10 each) or kept as a whole for one big stocking stuffer or white elephant gift.